Have all ingredients at room temperature. Combine water, eggs, oil and honey; pour into baking pan. Thoroughly blend dry ingredients (including yeast). Do this either in a bowl with a wire whisk or shake together in a gallon size, self-sealing plastic bag. Add to liquid ingredients in the baking pan. Select the DOUGH cycle, but stop the machine as soon as the mixing is done; do not allow dough to rise in the machine. Pour batter into greased muffin cups. Cover, let dough rise approximately 30 minutes. Bake at 375ºF for 15 minutes, until tops are golden brown. Remove from cups after 10 minutes. Heat water to 110º to 115ºF and pour into mixing bowl. Add yeast and allow to hydrate for 5 minutes. Add eggs, oil and honey to water and yeast. Thoroughly blend dry ingredients (except yeast). Do this either in a bowl with a wire whisk or shake together in a gallon size, self-sealing plastic bag. With the mixer on a low speed, gradually add to liquid ingredients until all dry ingredients are well blended. Beat on medium speed about 5 minutes. 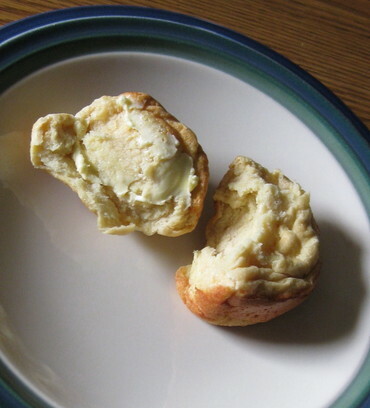 Spoon batter into greased bread muffin cups; allow to rise approximately 30 minutes. Bake at 375ºF for 15 minutes; until tops are golden brown. Can Bob’s 1:1 flour be substituted? Yes, that should work. You may need to adjust the amount of liquids and rise time. Let us know how your rolls turn out!